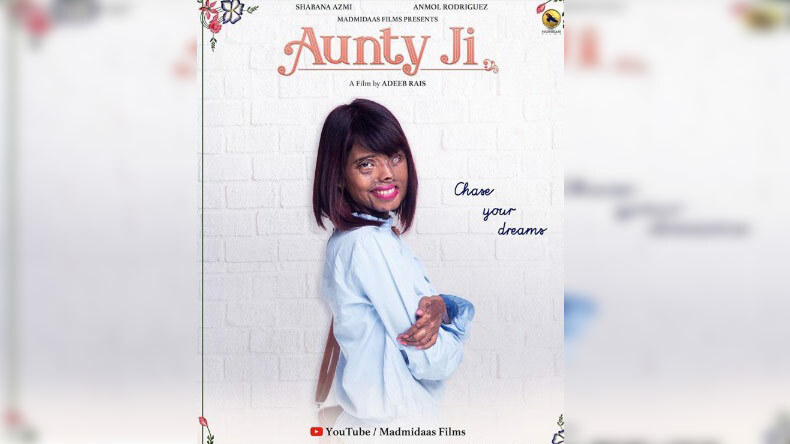 Made under the banners of Madmidaas Films, Aunty Ji is all about chasing your dreams. Helmed by Adeeb Rais, Shabana Azmi, Anmol Rodriguez starrer Aunty Ji is all set to unveil its first poster look on August 29, this year. The makers have requested the fans to subscribe to their official Youtube account in order to watch the film. Aunty Ji maker Adeeb Rais, infact, took to his official Instagram account to share an adorable photo of him with the leading lady of the short film starring Anmol. Take a look at the photos from the sets of the upcoming movie.